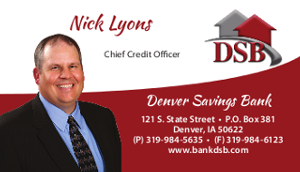 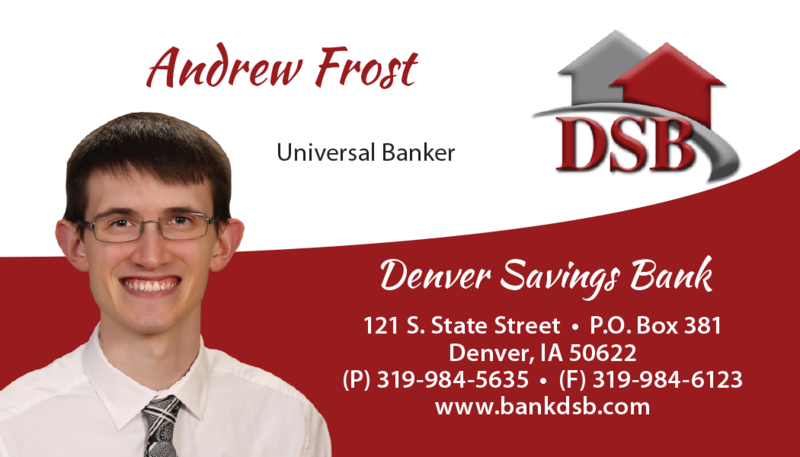 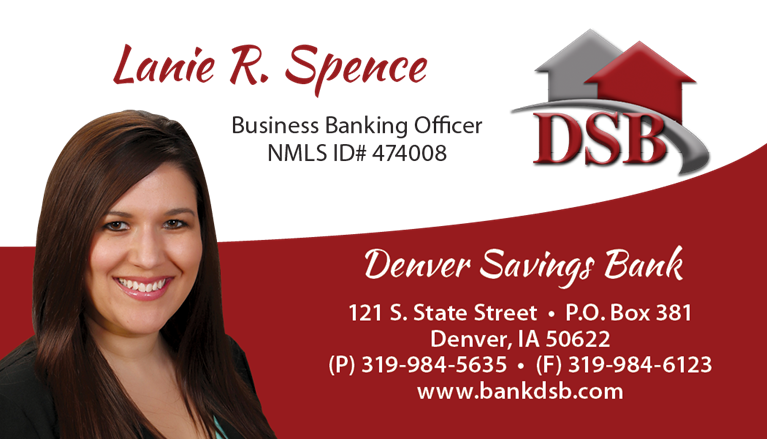 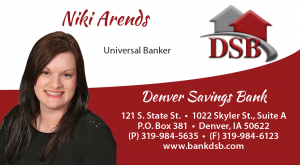 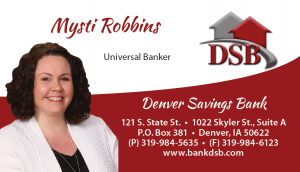 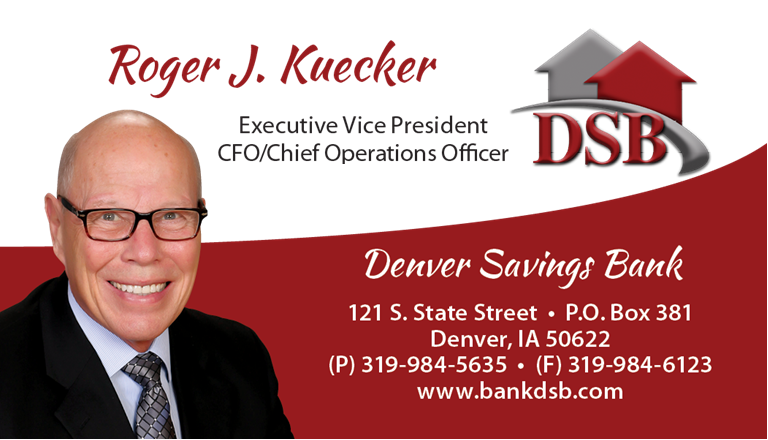 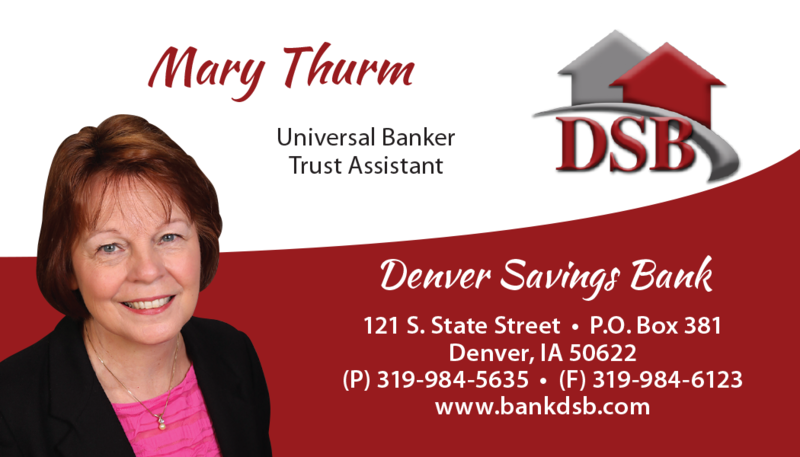 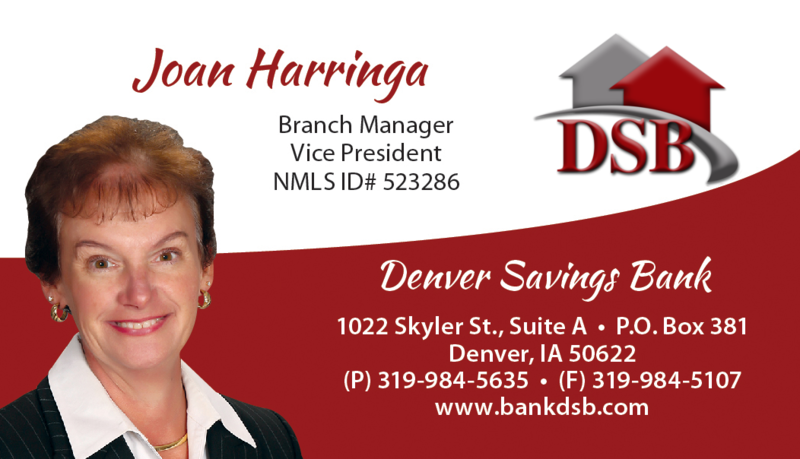 Welcome to Denver Savings Bank! 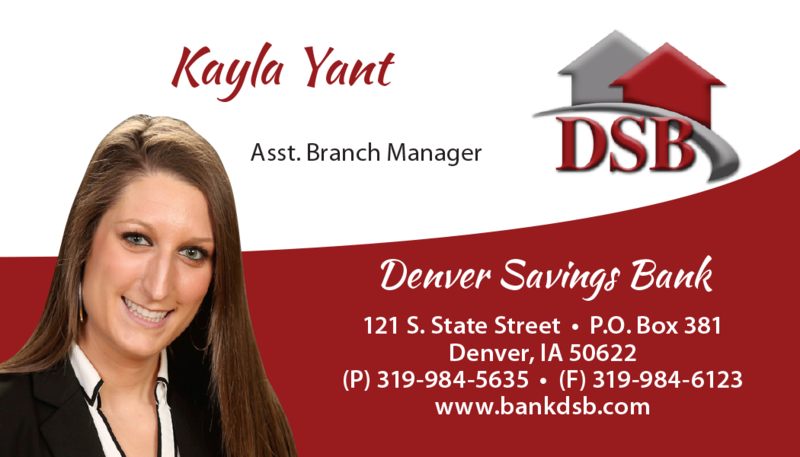 Meet our friendly and experienced staff – call us today at 319-984-5635 for all of your banking needs! 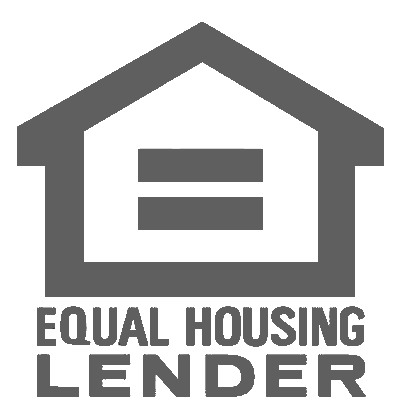 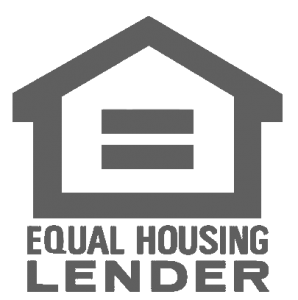 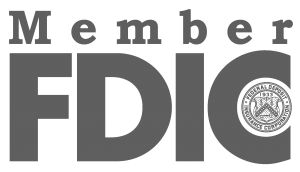 The Bank recognizes e-mail as a simple and cost effective method of communication; however, requests and inquiries requiring immediate attention should NOT be sent by e-mail. A bank representative may not be able to immediately review your e-mail message. E-mail messages will not serve as a sufficient method for any requirement imposed on you to provide written notice, nor may any e-mail messages be used to place a stop payment on a check, cancel a bill payment, request account transfers, or report lost or stolen banking codes, cards or checks. 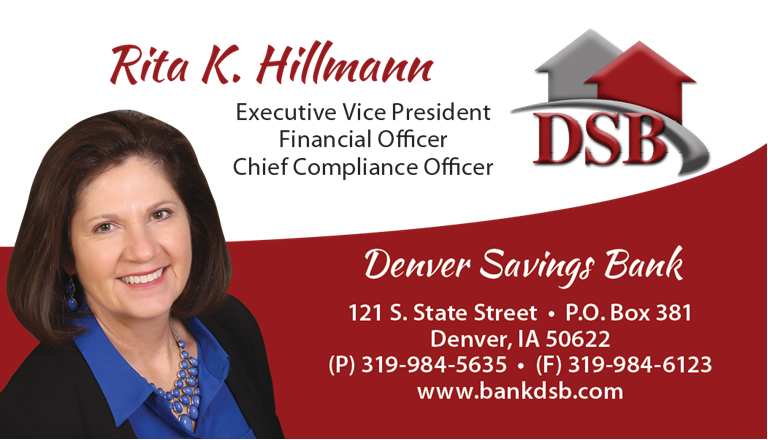 Private personal and account information such as Account Numbers, Passwords, PIN or Social Security Numbers should NOT be sent by e-mail.